The City of Edmonton values and awards the efforts of individuals, groups and organizations that bring recognition to the city and its residents. Awards cover a broad spectrum of activities and achievements - across culture and sports to science and community service. The City also recognizes those who try to make what Edmonton has to offer accessible to the greatest number of people. Edmonton’s appreciation for quality infill design is growing and we want you to be a part of it. Honouring Edmontonians who have contributed to the unique and diverse fabric of our community. 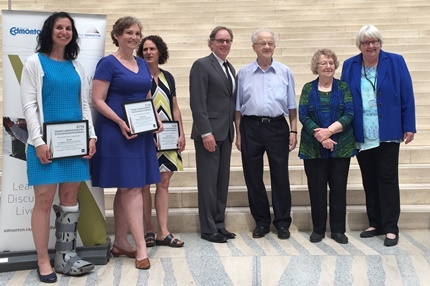 Recognizing those who make significant contributions to Edmonton's livability for all. 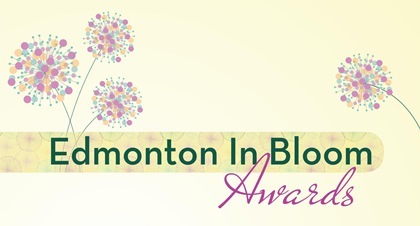 Edmonton in Bloom celebrates in Bloom programs and projects throughout Edmonton. Recognizing individuals, organizations, firms and projects that have contributed to urban design and the quality of life in Edmonton. An award that recognizes the many environmental champions of our corporation.